So I told you guys a couple post ago that I found my new apartment. Well I lost out on that one but this past weekend I found an even better one and I am really happy about it. It’s beautiful, tall ceilings, lots of space and natural light. Updated Kitchen and bath and a bedroom with a custom walk-in closet (walk in closet was all I really needed to here). In all of my apartments, the closets have always been in the hallway, so this is a BIG deal. I hope to stay in this place for the next two years while I finish school and figure out my life lol. 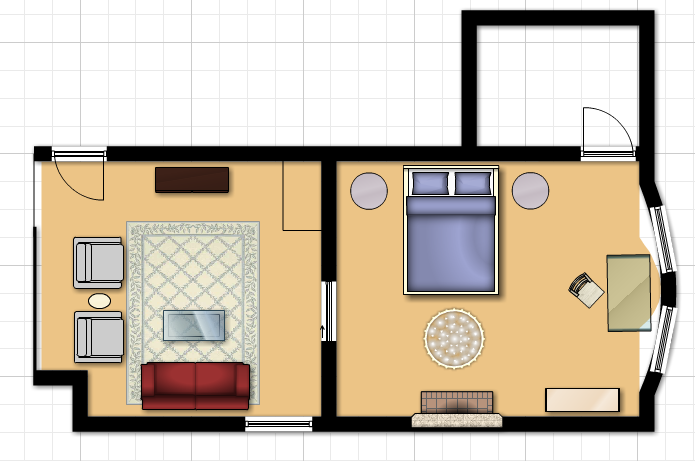 I created a floor plan of the living room and bedroom. These are the areas I will focus on finishing first. The below image is a 2D depiction. 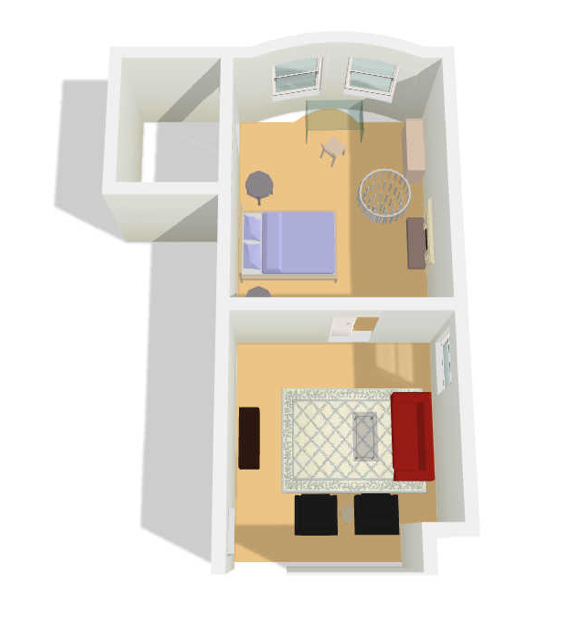 This image displays the layout in 3D which allows you to see a better depiction of the rooms. 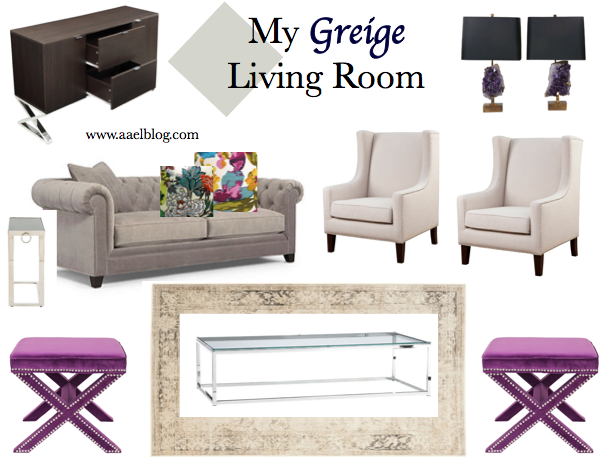 For my living room design, I am going with greige as my color scheme with a mix of silver and gold metallics. The walls will be painted Benjamin Moore – Gray Owl and the window treatments a shimmery taupe. The first storyboard is on the muted side. This one is infused with more color. 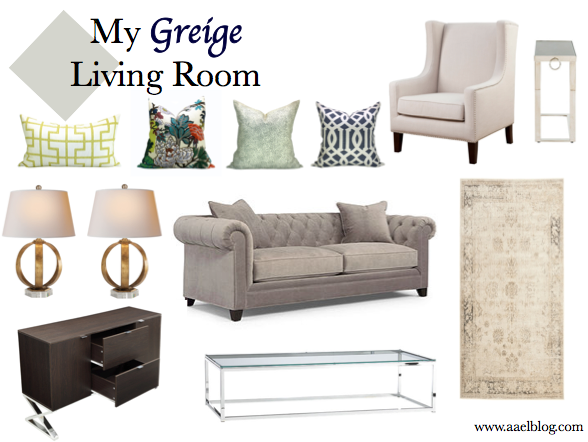 Tags: aael, Decorating, Design, Furniture, greige, Grey, HGTV, Inspiration, Interior design, interior designer, Interiors, Living Rooms, Living Spaces, tufted. Bookmark the permalink. Can you list where the items are from? Especially the sofa? The couch is from Macy’s, it’s a part of Martha Stewart’s collection.